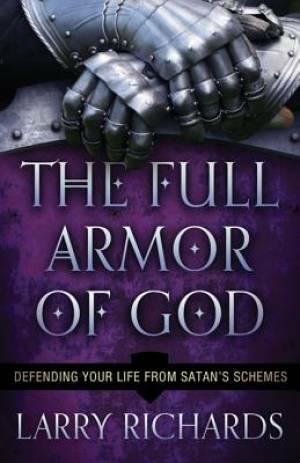 Framing his teaching on Pauls armour of God passage in Ephesians 6, Richards uncovers strategies of Satan and analyses the armour piece by piece to reveal how God provides protection from every attack of the enemy. Hands-on exercises at the end of each section, plus in-depth, analytical appendices, help readers identify and stand against powers of evil  and experience true freedom. The Full Armor of God by Larry Richards was published by Baker in March 2013 and is our 45327th best seller. The ISBN for The Full Armor of God is 9780800795429. Be the first to review The Full Armor of God! Got a question? No problem! Just click here to ask us about The Full Armor of God.